Enderman will always stay on your side and won't attack you if you look at them when you pick up this Enderman 17-inch plush! From Minecraft video game, this black and spooky character gets some much-needed love as an adorable 17-inch plush. His black arms and legs stretch out fully. 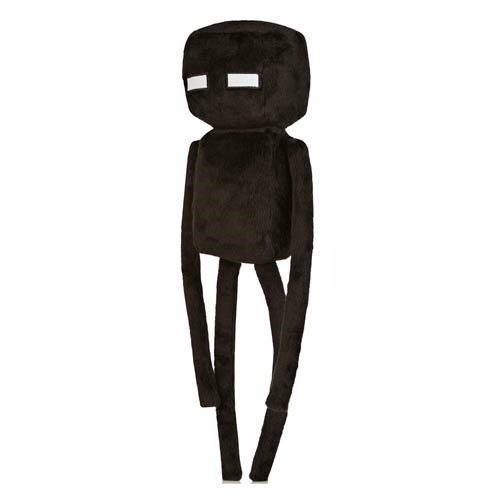 The Minecraft Enderman Plush is durable and soft, so it makes a great gift for the younger set, too. Ages 3 and up.